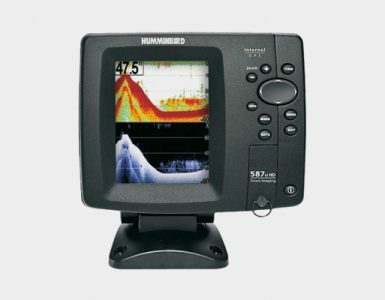 Humminbird 385Ci GPS FishFinder: All I can say after extensive research on this Humminbird ice fish finder product is Wow!! 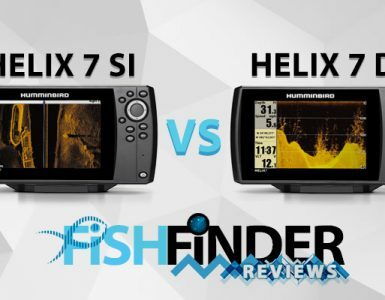 This has just about everything you could ever want from Fish finder. Granted, it might be a little overkill for the casual weekend fisherman, but if you’re really serious about your fishing, look no further. This is one to give serious consideration to. 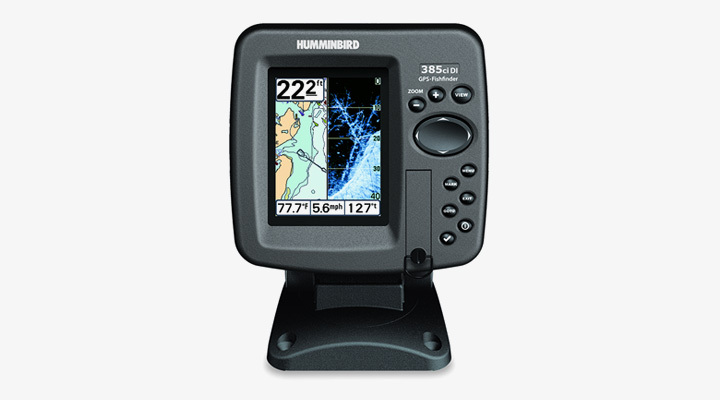 The Humminbird 385Ci is designed for those who demand top-of-the-line technology but don’t have space for a bigger fishfinder. With tons of new features, the Humming bird 385Ci performs way beyond its size and is right at home in the most difficult fishing conditions. Humminbird’s DualBeam sonar combines the advantages of narrow and wide-beam transducers into one system with wide coverage and better bottom definition. Its precision 20° at -10db 200kHz down-looking center beam looks for fish and structure directly below the boat, while the broad 60° at -10db 83kHz wide beam looks for fish outside the narrow beam around the boat. Fish in the narrow beam are displayed as solid fish symbols; fish in the wide beam are shown as hollow fish symbols. Sonar..what exactly is Sonar and how does it work exactly? Sonar technology is based on sound waves. The 300 Series Fish finder uses sonar to locate and define the structure, bottom contour, and composition, as well as depth directly below the transducer. Sonar is extremely fast. A sound wave can travel from the surface to a depth of 240 ft. and back again in less than ¼ of a second. It is very unlikely that your boat can “outrun” this sonar signal. What does Switchfire actually do? Switchfire Sonar; When you hit the water, you don’t limit yourself to one bait. So why limit your sonar? 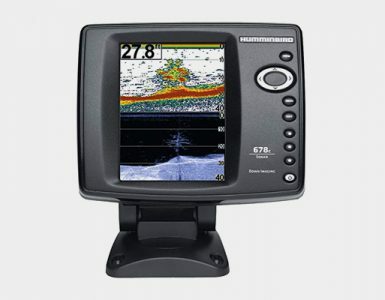 Exclusive Humminbird SwitchFire Sonar gives you the power to choose how returns are displayed. With two unique modes, you have complete control to adjust with the fishing conditions, making our down-looking sonar an even more valuable fish finding tool. All the alarms you need including, Depth, Fish ID, a Low battery which I really like, Temp, of course, Drift, and also gives you the choice of alarm tones. The Humminbird Quick Disconnect Mount System is compatible with the Matrix 700, 500 and 300 Series. It allows the user to quickly disconnect their head unit from the mount. It also features the ability to tilt and swivel. This is one awesome Fish finder. Noted, It might be a little expensive for the average weekend angler but again If you’re serious about your fishing, I would give this considerable consideration. I found it very hard after numerous searches on the Internet to find negative comments besides some purchasers not setting it the right way, to begin with. Overall I feel a great purchase for the money.